The Inka Empire (1400-1532 CE) is one of few ancient civilisations that speaks to us in multiple dimensions. 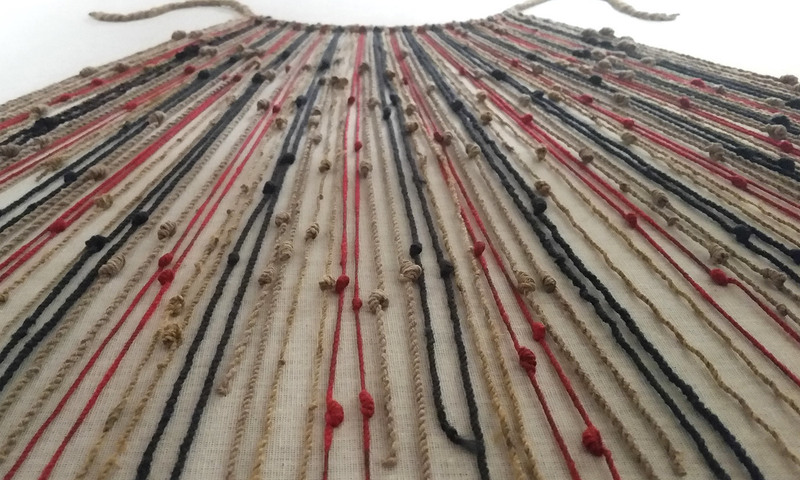 Instead of words or pictograms, the Inkas used khipus – knotted string devices – to communicate extraordinarily complex mathematical and narrative information. But, after more than a century of study, we remain unable to fully crack the code of the khipus. The challenge rests not in a lack of artifacts – over 1,000 khipus are known to us today – but in their variety and complexity. We confront tens of thousands of knots tied by different people, for different purposes and in different regions of the empire. Cracking the code amounts to finding a pattern in history’s knotted haystack. This entry was posted on Wednesday, August 29th, 2018 at 00:05	and is filed under Uncategorized. You can follow any responses to this entry through the RSS 2.0 feed. Both comments and pings are currently closed.